At this point we have filled all our spring positions. We will start the hiring process for 2020 in late 2019, we welcome applicant to apply again next year. 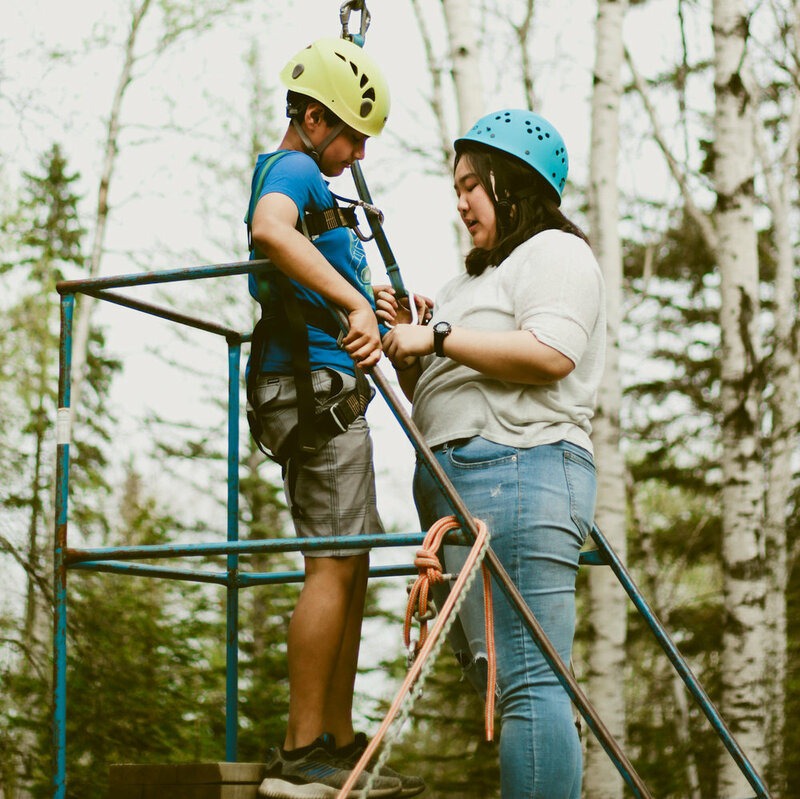 The Outdoor Recreation (OREC) Program at Camp Kadesh is a recreation based program that emphasizes an active, healthy lifestyle and focuses on the development of character and potential. The OREC program serves schools from all over Saskatchewan, with guests ranging from grade 6 to grade 12. A class trip to Camp Kadesh provides students with opportunities to develop new friendships, work together as a team and have a truly unique and fun outdoor experience. In May and June Camp Kadesh hosts over 1,600 students and their teachers. In Fall and Winter, our program focuses on individual school groups, these groups vary in size from 15 to over 80. Come and be part of a close-knit community, where we teach young people sports, camp activities and help create memorable, positive experiences. This program is a Camp Kadesh outreach into the public and catholic school systems to introduce students to Camp Kadesh, and by our actions, the love of Jesus. Large numbers of these students that come will end up coming back as campers in summer. Responsible to provide quality programming to the Outdoor Recreation and Retreat program by ensuring a excellent experience for all guests. Spring OREC Crew members are part of a team that provides all-encompassing service to guests. In addition to programming, OREC crew members will have a role as cabin hosts (sleeping in cabins with students), provide assistance in food services (doing dishes in the dish pit for some meals), and elements of support roles (housekeeping and janitorial for facility turnaround). We are looking for staff that will be committed to the love of camp and the outdoors, and want to see student's experience God through our service to them. Staff from other camps that have jobs in July and August are welcome to come and work with us for May and June. If you are not from Saskatchewan, check out this page with more details about we can offer out of province staff. What does a week look like? Our weeks run Monday to Friday (no weekends). We typically ask staff to be (back) on site by Sunday evening, this avoids any travel issues on Monday morning. Monday's start with a staff meeting and some general set up. The first schools arrives in time for lunch on Monday. A typical day consists for two activities in the morning and three activities in the afternoon for students, the evening then has one large activity or game and a campfire as the final thing before heading to bed. OREC staff are responsible for the execution of these various activites under the direction of the Program Coordinators and the Associate Director. Staff sleep in cabins with the students, but only a few nights a weeks, the other evenings are consider "off"
Staff also work on rotating teams to assist with serving and clean up of meals. Even full time staff jump in on this part of the day and help with serving and dishes where needed. If program staff is not your thing we are looking to hire food services staff for the months of May and June as well. In the fall of 2019 we will be looking to fill positions. Below what we will be looking for. We are looking for people that want to work off and on on an hourly basis for different groups this fall. This typically would be for about 12 hours a day spanning 2 or 3 days at camp you will be paid $11.50 per hour. Contact us if you are interested in working. Responsible to provide quality programming to the Outdoor Recreation and Retreat program by assisting in program activities and working together on hosting duties including, dish pit, kitchen assisting, and cleaning. Training is provided for specific activities. In the winter of 2020 we will be looking to fill positions. Below is the archive of our what we will be looking for. We are looking for people that want to work off and on on an hourly basis for different groups this winter. This typically would be for about 12 hours a day spanning 2 or 3 days at camp you will be paid $11.06 per hour. Contact Chris if you are interested in working.